A reflexion on the passage of time and its inscription on the body. 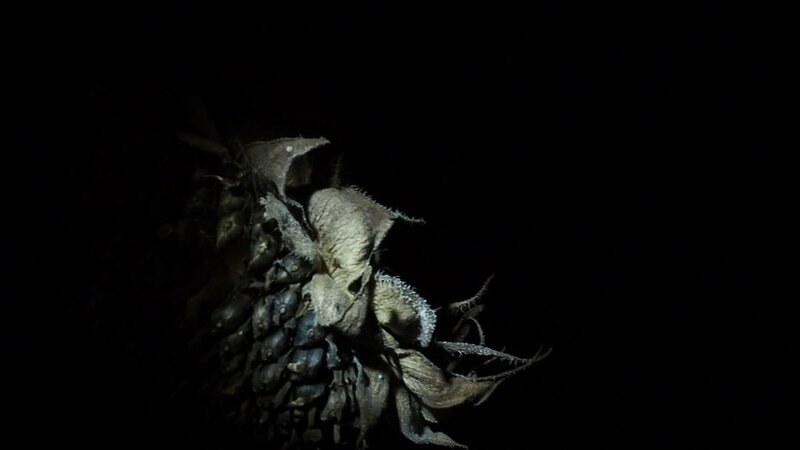 The dried sunflowers’ surface and texture are explored as anthropomorphic landscape bearing traces of mourning in a transitional state. The specimens used in this project were harvested from a farm located in Québec’s countryside during the Fall of 2017 while my mother was undergoing chemotherapy treatments. In this video installation, they appear as fugitive fragments brought to light by the action of thought and memory.